Despite the rise of computer gaming, millions of adults still play face to face role playing games, which rely in part on social interaction to create stories. This work explores tabletop role playing game (TRPG) as a genre separate from computer role playing games. The relationship of TRPGs to other games is examined, as well as the interaction among the tabletop module, computer game, and novel versions of Dungeons & Dragons. Given particular attention are the narrative and linguistic structures of the gaming session, and the ways that players and gamemasters work together to construct narratives. The text also explores wider cultural influences that surround tabletop gamers. 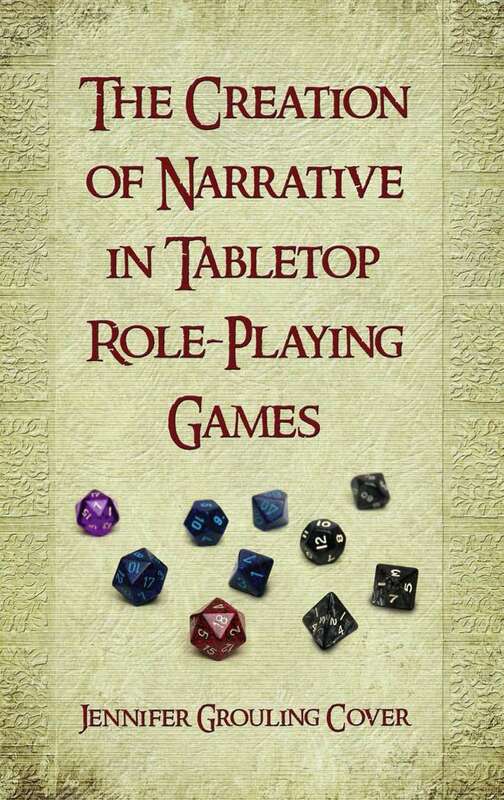 The Creation of Narrative in Tabletop Role-Playing Games is available at RPGNow.com.